Another day another country. Lithuania went much the same way as Estonia, but this time I'd already been warned what to expect, so the silence wasn't as disconcerting. 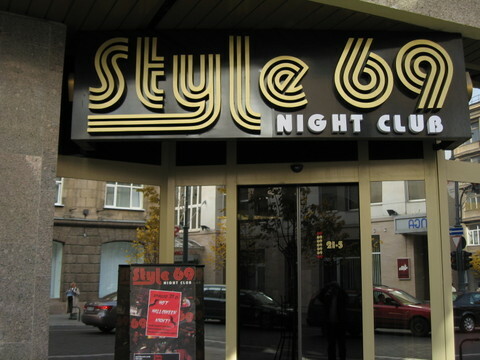 I then had 3 hours before flying home, which I spent walking the streets of the Old Town, I did find this place, which I want to believe was the Eastern Bloc's answer to NYC's Studio 54. Notice too the impressive hours of business (9pm-5am). Alas I was never to go inside, which may well have been a good thing as it will forever be the urber 70s kitch heaven of my imagination.